BRACELET - SARAH COVENTRY. "FREE FORM" FROM 1979. 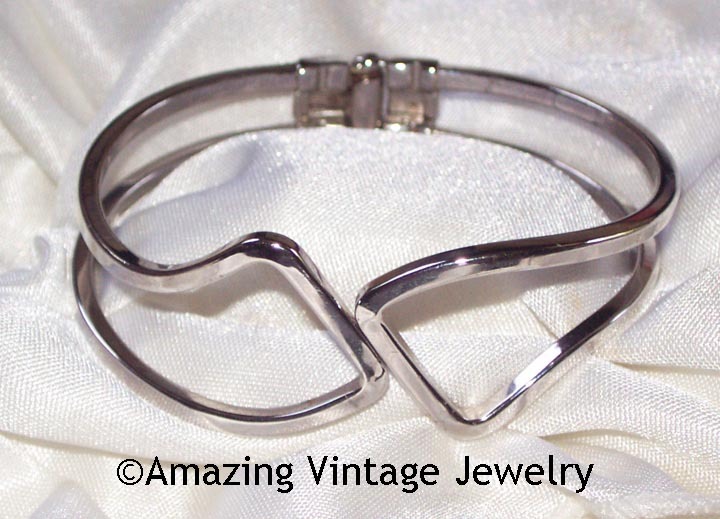 OPEN SILVERTONE GEOMETRIC DESIGN CLAMPER BRACELET. SIGNED SC. JUST OVER 1" WIDE AT THE WIDEST POINT IN FRONT. VERY GOOD CONDITION. NOT A VERY COMMON PIECE!